VGF is neurosecretory protein, belongs to the extendedgranin family of proteins, originallyrecognized as a nerve growth factor (NGF) inducible gene product. It is selectively synthesized mostly in neuronal and neuroendocrine cells. It has a very simple organization. It has several biologically active peptides, described as VGF-derived peptides including APPG-40, APPG-37, GRPE-37, NERP-1, NERP-2, NAPP-129 (VGF 20), VGF 18, HFHH-51 (VGF 6), HHPD-1, AQEE-30 (Peptide V), LQEQ-19, TLQP-21 and TLQP-62 (VGF 10). Among these peptides TLQP-62 is of great significance because of its several remarkable biological effects like regulation of memory formation, glucose homeostasis and insulin secretion, gene transcription, neurogenesis, etc. Although in light of these outstanding behavioral and physiological roles, very few information are available regarding its mode of action. Still, no receptor has been found for TLQP-62 mediated cascading pathways. However, considering the significant biological function of TLQP-62, this review study was done to summarize the pathways involved in TLQP-62 mediated action, based on the information till now. TLQP-62 activates signal transduction cascades by two mechanisms including opening of the calcium channels and modulating the AMPK, PKC and ERK pathways. These events result in an increase in intracellular Ca2+ concentration which permits the secretion of insulin. TLQP-62 would be a significant therapeutics and drug discovery tool for a wide range of diseases to which the peptide related, if TLQP-62 mediated pathways are known, as a whole. Levi, A., Eldridge, J. D., Paterson, B. M. (1985). Molecular cloning of a gene sequence regulated by nerve growth factor. Science 229(4711): 393-395. Possenti, R., Eldridge, J. D., Paterson, B. M., Grasso, A., Levi, A. (1989). A protein induced by NGF inPC12 cells is stored in secretory vesicles and released through the regulated pathway. EMBO J. 8(8): 2217-2223. Jethwa, P. H., Ebling, F. J. (2008). Role of VGF-derived peptides in the control of food intake, bodyweight and reproduction. Neuroendocrinology 88: 80-87. Lin, W.J., Jiang, C., Sadahiro, M., Bozdagi, O., Vulchanova, L., Alberini, C.M., Salton, S.R. (2015). VGF and Its C-Terminal Peptide TLQP-62 Regulate Memory Formation in Hippocampus via a BDNF-TrkBDependent Mechanism. J Neurosci. 35(28): 10343–10356. Petrocchi-Passeri, P., Cero, C., Cutarelli, A., Frank, C., Severini, C., Bartolomucci, A., Possenti, R. (2015). The VGF-derived peptide TLQP-62 modulates insulin secretion and glucose homeostasis. J MolEndocrinol. 54(3): 227-39. Thakker-Varia, S.,Behnke, J., Doobin, D., Dalal, K., Khadim, F., Wilson, E., Palmieri, A., Antila, H., Rantamaki, T., Alder, J. (2014). VGF (TLQP- 62)-induced neurogenesis targets early phase neural progenitor cells in the adult hippocampus and requires glutamate and BDNF signaling. Stem CellRes. 12 (3): 762-77. Bartolomucci, A., Possenti, R., Mahata, S. K., Fischer-Colbrie, R., Loh, Y. P., Salton, S. R. (2011). The extended granin family: structure, function, and biomedical implications. Endocr Rev. 32 (6): 755-97. Salton, S.R., Ferri, G.L., Hahm, S., Snyder, S.E., Wilson, A.J., Possenti, R., and Levi, A. (2000). VGF: a novel role for this neuronal and neuroendocrine polypeptide in the regulation of energy balance. Front Neuroendocrinol. 21: 199–219. Bonni, A., Ginty, D.D., Dudek, H., and Greenberg, M.E. (1995). Serine 133-phosphorylated CREB induces transcription via a cooperative mechanism that may confer specificity to neurotrophin signals. Mol Cell Neurosci. 6, 168-183. Mishiro-Sato, E., Sasaki, K., Matsuo, T., Kageyama, H., Yamaguchi, H., Date, Y., Matsubara, M., Ishizu, T., Yoshizawa-Kumagaye, K., Satomi, Y., Takao, T., Shioda, S., Nakazato, M., Minamino, N. (2010) Distribution of neuroendocrine regulatory peptide-1 and -2, and proteolytic processing of their precursor VGF protein in the rat. J Neurochem. 114(4): 1097-106. Jones, P.M., Persaud, S.J. (1998). Protein kinases, protein phosphorylation, and the regulation of insulin secretion from pancreatic ?-cellss. Endocrine Reviews 19: 429–461. Hohmeier, H.E., Mulder, H., Chen, G., Henkel-Rieger, R., Prentki, M., Newgard, C.B. (2000). Isolation of INS-1-derived cell lines with robust ATP-sensitive KC channel-dependent and - independent glucosestimulated insulin secretion. Diabetes 49: 424–430. Melloul, D., Marshak, S., Cerasi, E. (2002). Regulation of Insulin gene transcription. Diabetologia 45: 309–326. Philippe, J., Missotten, M. (1990). Functional characterization of a cAMP-responsive element of the rat insulin I gene. 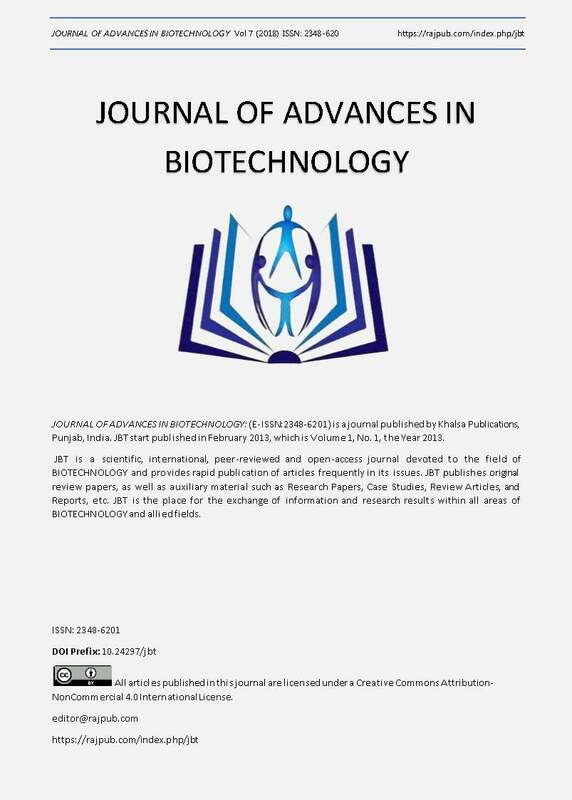 Journal of Biological Chemistry 265: 1465–1469. Possenti, R., Rinaldi, A. M., Ferri, G. L., Borboni, P., Trani, E., Levi, A. (1999). Expression, processing, and secretion of the neuroendocrine VGF peptides by INS-1 cells. Endocrinology 140: 3727–3735. Giordano, T., Brigatti, C., Podini, B., Bonifacio, E., Melodesi, J., Malosio, M.L. (2008). b cell chromogranin B is partially segregated in distinct granules and can be released separately from insulin in response to stimulation. Diabetologia 51: 997–1007. Lemmens, R., Larsson, O., Berggren, P.O., Islam, M.S. (2001). Ca2+ -induced Ca2+ release from the endoplasmic reticulum amplifies the Ca2+ signal mediated by activation of voltage-gated L-type Ca2+ channels in pancreatic ?-cells. Journal of Biological Chemistry 276: 9971–9977. Thakker-Varia, S., Krol, J. J., Nettleton, J., Bilimoria, P. M., Bangasser, D. A., Shors, T. J., Black, I. B., Alder, J. (2007). The neuropeptide VGF produces antidepressant-like behavioral effects and enhances proliferation in the hippocampus. J Neurosci. 27: 12156-67. Steiner, B., Zurborg, S., Horster, H., Fabel, K., Kempermann, G., (2008). Differential 24 hresponsiveness of Prox1-expressing precursor cells in adult hippocampal neurogenesis to physical activity, environmental enrichment, and kainic acid-induced seizures. Neuroscience 154 (2): 521–529. Encinas, J.M., Vaahtokari, A., Enikolopov, G. (2006). Fluoxetine targets early progenitor cells in the adult brain. Proc. Natl. Acad. Sci. U. S. A. 103 (21): 8233–8238. Boku, S., Nakagawa, S., Masuda, T., Nishikawa, H., Kato, A., Toda, H., Koyama, T., (2011). Effects of mood stabilizers on adult dentate gyrus-derived neural precursor cells. Prog. Neuropsychopharmacol. Biol. Psychiatry 35 (1), 111–117. Kronenberg, G., Reuter, K., Steiner, B., Brandt, M.D., Jessberger, S., Yamaguchi, M., Kempermann, G. (2003). Subpopulations of proliferating cells of the adult hippocampus respond differently to physiologic neurogenic stimuli. J. Comp. Neurol. 467 (4): 455–463. Alder, J., Thakker-Varia, S., Bangasser, D.A., Kuroiwa, M., Plummer, M.R., Shors, T.J., Black, I.B. (2003). Brain-derived neurotrophic factor-induced gene expression reveals novel actions of VGF in hippocampal synaptic plasticity. J Neurosci. 2623(34): 10800-8. Deisseroth, K., Singla, S., Toda, H., Monje, M., Palmer, T.D., Malenka, R.C., (2004). Excitationneurogenesis coupling in adult neural stem/progenitor cells. Neuron 42 (4): 535–552. Bartolomucci, A., Corte, G.L., Possenti, R., Locatelli, V., Rigamonti, A.E., Torsello, A., Bresciani, E., Elia, G., Brancia, C., Ferri, G. L., Conti, R., Ciani, B., Pascucci, T., Dell'Omo, G., Muller, E. E., Levi, A., Moles, A. (2006). TLQP-21, a VGF-derived peptide, increases energy expenditure and prevents the early phase of diet-induced obesity. Proc. Natl. Acad. Sci. U. S. A. 103: 14584–14589. Tyler, W.J., Alonso, M., Bramham, C.R., Pozzo-Miller, L.D. (2002). From acquisition to consolidation: on the role of brain-derived neurotrophic factor signaling in hippocampal-dependent learning. Learn Mem. 9: 224 –237. Suckale, J., Solimena, M., (2010). The insulin secretory granule as a signaling hub. Trends in Endocrinology and Metabolism 21: 599–609. Stephens, S.B., Schisler, J.C., Hohmeier, H.E., An, J., Sun, A.Y., Pitt, G.S., Newgard, C.B. (2012). AVGF-derived peptide attenuates development of type 2 diabetes via enhancement of islet ?-cells survival and function. Cell Metabolism 16: 33–43. Hannedouche, S., Beck, V., Leighton-Davies, J., Beibel, M., Roma, G., Oakeley, E.J., Lannoy, V., Bernard, J., Hamon, J., Barbieri, S. et al. (2013). Identification of the C3a receptor (C3AR1) as the target of the VGF-derived peptide TLQP-21 in rodent cells. Journal of Biological Chemistry 288: 27434–27443. Cero, C., Vostrikov, V., Verardi, R., Severini, C., Gopinath, T., Braun, P.D., Sassano, M.F., Gurney, A., Roth, B.L., Vulchanova, L. et al. (2014). The TLQP-21 peptide activates the G-protein-coupled receptor C3aR1 via a foldingupon- binding mechanism. Structure 22: 1744–1753. Cunha, C., Brambilla, R., Thomas, K.L. (2010). A simple role for BDNF in learning and memory? Front MolNeurosci. 9(3): 1. Leng, J., Jiang, L., Chen, H., Zhang, X., (2009). Brain-derived neurotrophic factor andelectrophysiological properties of voltage-gated ion channels during neuronal stem cell development. Brain Res. 1272: 14–24. Mistry, S.K., Keefer, E.W., Cunningham, B.A., Edelman, G.M., Crossin, K.L. (2002). Cultured rat hippocampal neural progenitors generate spontaneously active neural networks. Proc. Natl. Acad. Sci. U. S. A. 99 (3): 1621–1626. Cocco, C., Brancia, C., Pirisi, I., D’Amato, F., Noli, B., Possenti, R., Ferri, G.L. (2007). VGF metabolicrelatedgene: distribution of its derived peptides in mammalian pancreatic islets. Journal of Histochemistry and Cytochemistry 55: 619–628. Andero, R., Choi, D.C., Ressler, K.J. (2014). BDNF-TrkB receptor regulation of distributed adult neural plasticity, memory formation, and psychiatric disorders. ProgMolBiolTranslSci 122:169 –192. Bekinschtein P, Cammarota M, Medina JH (2014). BDNF and memory processing. Neuropharmacology 76: 677– 683. Akhter, S. (2015) Isolation of VGF derived Neuropeptide Receptor. Ph. D. Thesis. University of Santiago de Compostela, Spain. Akhter, S., Chakraborty, S., Moutinho, D., AÂlvarez-Coiradas, E., Rosa, I., Viñuela, J., et al. (2017) The human VGF-derived bioactive peptide TLQP-21 binds heat shock 71 kDa protein 8 (HSPA8) on the surface of SH-SY5Y cells. PLoS ONE 12(9): e0185176. https://doi.org/10.1371/journal. pone.0185176. Ayub, M. (2012) Investigating the mechanisms of action of VGF-derived peptides in the nervous system. Ph D Thesis. Imperial College, London. Chen, Y. C., Pristerá, A., Ayub, M., Swanwick, R. S., Karu, K., Hamada, Y., Rice, A. S., Okuse, K. (2013) Identification of a receptor for neuropeptide VGF and its role in neuropathic pain. J Biol Chem. 288 (48): 34638-46.